PETALING JAYA: Perak DAP chief Datuk Ngeh Koo Ham has sparked an uproar over his tweet questioning whether Muslims were “wasting time and energy” in protesting the controversial anti-Islam Innocence of Muslims video clip. Politicians from both sides of the divide banded together to hit out at Ngeh, with many calling him insensitive. He also noted that Ngeh had indirectly criticised PAS who were planning to join a peaceful assembly on Friday over the matter. 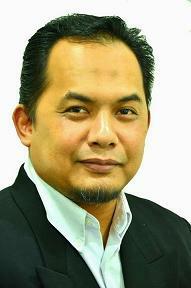 “No wonder PAS cannot trust DAP when their senior leaders regularly betray a lack of respect for Muslims,” Khairy said. It was reported that Umno and PAS members are planning a massive protest on Friday against the anti-Islam film that mocks and insults Islam and the Prophet Muhammad. Information, Culture and Communications Minister Datuk Seri Dr Rais Yatim tweeted that Ngeh was unfit to be a political leader for denying the rights of Muslims to uphold their religion. PAS Youth secretary Khairul Faizi Ahmad Kamil said Ngeh should be careful with his statements, pointing out that it was not Khairy who mooted the idea to hold a massive protest on Friday. “This issue involves all Muslims and it is mandatory for Muslims to protect the good name of Prophet Muhammad regardless of their political affiliation,” he said yesterday. Kota Belud MP Datuk Abdul Rahman Dahlan said Ngeh displayed “extreme insensitivity” in questioning whether the planned protest was politically motivated. MCA deputy president Datuk Seri Liow Tiong Lai said Ngeh's comments reflected insensitivity towards the feelings of Muslims. He stressed that the displeasure against the video clip had nothing to do with politics and that even Google and YouTube had taken measures to deal with the matter. “How can people in our country use this as a political tool? This is the problem with some, especially in DAP, who always look at things with a political slant,” he said. Former DAP vice-chairman Tunku Abdul Aziz Tunku Ibrahim said the remark by Ngeh was unsustainable and uncalled for. Perak Mentri Besar Datuk Seri Dr Zambry Abdul Kadir slammed Ngeh, saying it was not right for him to make such a statement especially in relation to such a sensitive issue. Three police reports have been lodged against Ngeh. Ngeh said he was very disappointed that some people had twisted the meaning of his tweet, reiterating that he respected the rights of everyone to protest or demonstrate. “There is no doubt that I condemn the video but my tweet was a question and not a statement as some have claimed, belittled Islam,” he said.